How did The Glenlivet, Chivas Regal and Jameson perform in 2018? 1 Comment on How did The Glenlivet, Chivas Regal and Jameson perform in 2018? Let’s be clear: we’re not judging a book by its cover. A truly great expression has to have the substance to match its style. We’ll only settle for a celebration of the complete package. With this in mind, we thought we’d have a lovely little rummage through the shelves at MoM Towers to find the fairest of them all. We present to you our list of 10 drinks that taste as good as they look! The weekend is here, folks! And with the promise of two days of raving (or behaving) comes this week’s Nightcap, our digestif of the week’s top booze news stories. Enjoy! Step away from that keyboard, put the high viz down. The weekend is here! While you unwind with a dram, why not catch up on the week’s goings on from the world of drinks? On Monday, Annie explored the world’s best spirits-themed hotels for booze lovers, while on Tuesday Adam brought us his top tipples for the upcoming bank holiday weekend (soz if you don’t get the bonus day off where you are!). Then, on Wednesday, Annie checked out the delectable world of savoury gins – herbal is most definitely delicious in our book. Then yesterday we published our chit-chat with Alasdair Day, co-founder of R&B Distilleries, where he shares the family history of all things Tweeddale. It was a good week indeed! New distilleries on the horizon, new head bartenders at the ready and new record-breaking gins ahoy – The Nightcap keeps you stocked up on the newest in new this week…. New distilleries on the horizon, new head bartenders at the ready and new record-breaking gins ahoy – The Nightcap keeps you stocked up on the newest in new this week. It’s been a week since the last Nightcap update, which can only mean one thing… Well, honestly, it could mean a lot of things. However, only one of those things is important for this compulsory blog preamble – it’s time for another edition of The Nightcap. Raise a glass to the Chelsea Flower Show with these floral whiskies! No Comments on Raise a glass to the Chelsea Flower Show with these floral whiskies! This week, tens of thousands will descend upon the RHS Chelsea Flower Show to marvel at some of Britain’s most brilliant blooms. 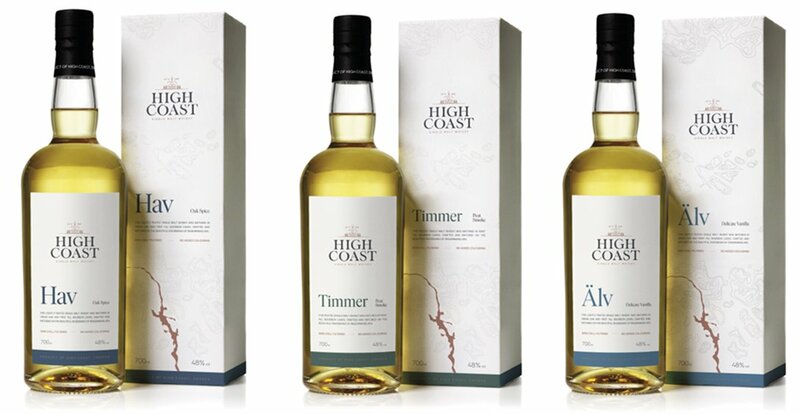 Indulge your inner Alan Titchmarsh with these fragrant drams – no green fingers necessary. Chelsea Flower Show has graced the grounds of London’s Royal Hospital Chelsea every year since 1913 (except for during the two World Wars, naturally), in a room large enough to comfortably fit 500 London buses. This five-day floral spectacle is a British institution. It’s Crufts for flower fanatics. If you’ve got hayfever just thinking about it, why not pay homage to horticulture from the comfort of your very own garden with a dram in-hand? After all, floral doesn’t necessarily have to mean ‘perfumed’. Glenlivet launches Cognac cask-finished single malt: Captain’s Reserve! 3 Comments on Glenlivet launches Cognac cask-finished single malt: Captain’s Reserve! In a product launch said to ‘push the boundaries of modern Scotch’, Speyside distillery The Glenlivet has tiptoed on terrain where few have gone before and released a Cognac cask-finished whisky: meet Captain’s Reserve! The Glenlivet is unarguably a single malt stalwart. Founded right back in 1824, the distillery has been front and centre of single malt whisky for generations and has rightly built a reputation as a time-honoured classic. So when news reached MoM Towers that a Cognac cask expression was forthcoming, it’s an understatement to say we were very interested.